TV advertising around March Madness continuously surpasses $1B and only continues to rise. In fact, a 30 second spot during the games can cost over $1M, making it one of the priciest ad buy events in television. As marketers scramble to spend their ad dollars on TV, they shouldn’t neglect other channels that have the potential to generate measurable ROI – namely, digital out-of-home. 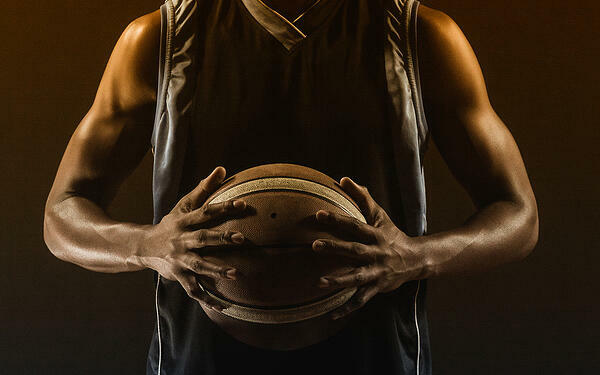 Digital out-of-home media offers a powerful way to reach target audiences in the real world, allowing brands to take advantage of key moments when sports fans are in a March Madness state of mind. Whether you are trying to increase brand awareness or drive sales, digital out-of-home makes it easy for you to achieve your goals. Through Vistar Media, marketers can easily identify and reach a vast variety of audience segments. With Vistar’s proprietary geospatial technology, we are able to build curated audiences and then activate media based on consumers’ movement patterns. In this post, we’re sharing the top 4 strategies marketers can leverage leading up to and during the tournament. Targeting audiences in the real world is one of the defining features of digital out-of-home. As a one-to-many medium, and with the benefits of today’s first- and third-party data offerings, the possibilities for brands are endless! Conquesting: Whether you’re marketing beer or athletic apparel, you can leverage digital out-of-home to gain market share and boost brand awareness against competitors – especially if they are official sponsors. Target consumers who visit competitive retailers or locations to ensure your brand is top-of-mind next time they make a relevant purchasing decision. Sponsorships: Already a sponsor of March Madness? Extend your sponsorship and amplify the impact of your messaging with digital out-of-home. By reaching people while they are offline and away from their TVs, moving throughout the day, you’ll connect the dots between all the pieces of your omni-channel campaign. Creative: Digital out-of-home allows brands to flex their creative muscles. Leverage creative control and day-partying to make the most of your execution – timing certain messaging to play before, during and after games. When consumers aren’t in front of a TV or online, they’re on their way to work, at the gym, in the mall, getting dinner with friends…, you get the picture. With digital out-of-home, marketers can activate campaigns in contextually relevant venues. Watching the game: Trying to engage with March Madness fans while they’re watching the game? Bars, casual dining restaurants, and casinos are just a few of the locations that put you front-and-center with your audience. And given that 66% of adults 18+ report watching sports at a restaurant or bar, you can’t afford to miss reaching these consumers! Home team fans: If your creative can be tailored to different teams, then it’s time to activate on campus. Schools and universities are the perfect location for team- and city-specific messaging, as are around sports stadiums where the games will take place. Out and about: For a broader reach, engage your audience while they’re going about their daily activities. Billboards, gyms, transit and gas stations all offer brands access to consumers while they’re a captive audience, without the interruptive quality of many other ad types. March Madness sweeps across the nation every spring, so it’s important to capture fans in the moment. Much like the Super Bowl or World Cup, March Madness attracts much more than just college sports fans. While there’s a whirlwind of potential new consumers, brands need to engage with their target audiences through this cultural phenomena. Find your audience: Through programmatic digital out-of-home, brands can target different audiences. From students and alumni to residents within certain zip codes, general sports fans to specific basketball enthusiasts, Vistar’s audience segments and offerings from third-party data partners enable marketers to reach the right consumers, in the right place, at the right time. One of the most critical aspects of advertising around March Madness is being able to activate new creative and messaging on short notice. Historically, out-of-home involved a lengthy wait for banner specs, printing and installation – but with digital out-of-home, marketers can be much more reactive. Digital out-of-home has the flexibility to deliver when and where you need it. React in Real-Time: While static out-of-home ads are designed for longer-term campaigns, DOOH allows marketers to use real-time triggers to reach audiences where they have the highest propensity to be. Run different versions of your campaign messaging as the bracket shrinks, or if you want to highlight a recent win by incorporating a team’s logo or special promotion with your creative. Ready to plan your March Madness campaign?